"Emotionally both sides had the aim to show that relations can be constructive, that there is room for cooperation. Russia distributed information that the talks lasted four times longer than planned, which displays Russia's importance. This is what happened, but if we are to explain in more detail, we will not find out all the content," Lithuanian Minister of Foreign Affairs Linas Linkevičius commented on the US-Russian leaders' meeting at the G20 conference. The conference and US President Donald Trump's visit to Poland was discussed on the Dėmesio Centre show on LRT, featuring minister Linkevičius and Vilnius University Institute of International Relations and Political Science (VU TSPMI) head Ramūnas Vilpišauskas. 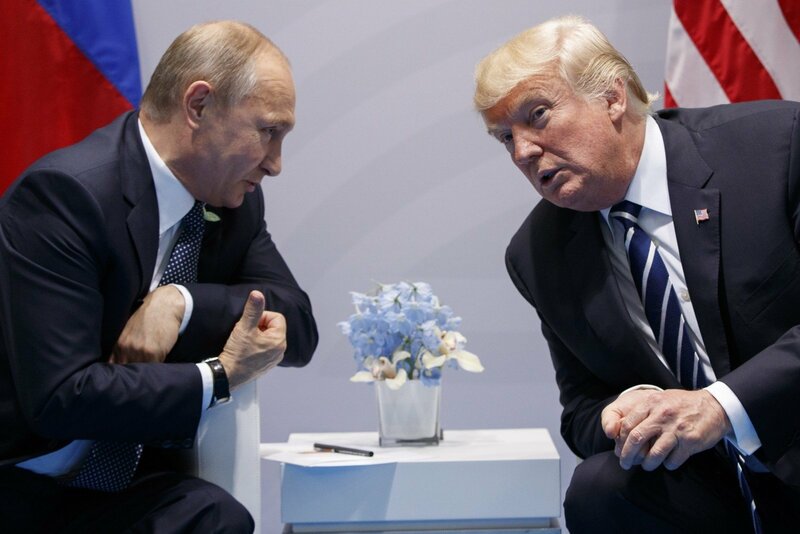 Donald Trump's claim following the G20 meeting that the US and Russia will begin cooperation in the cyber security sphere was met with scepticism. R. Vilpišauskas points out that cooperation in anti-terrorism could very well be understandable, even if difficult. 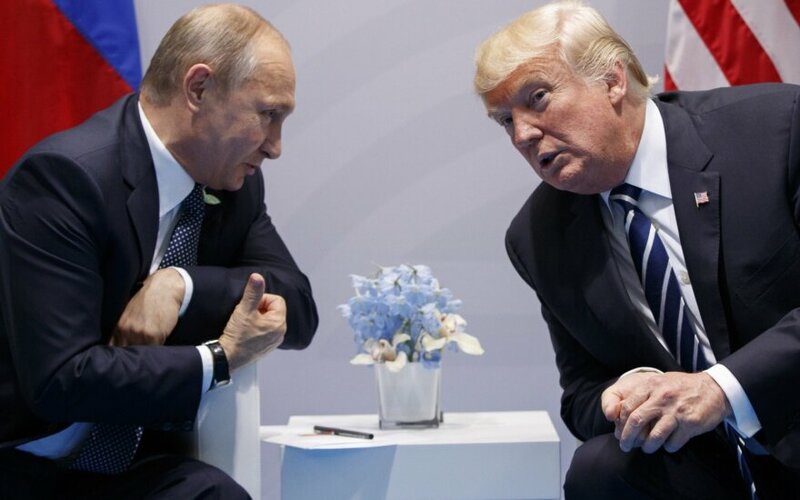 But where US institutions have attributed tampering in the cyber realm to Russia and President Trump states that he trusts the assurances of non-interference from the Russian president, one must ask who you trust more – the institutions of your own country or the head of state who is known to not act according to his own words. Vilpišauskas attributes this to a sort of naivety. In a democracy like the US, someone elected into a position such as POTUS is likely to seek resolution to unresolved issues, trying to find common ground to solve problems in the world. Unfortunately this has the penchant to lead to falling into the same pitfalls as one's predecessors. Meanwhile the Russian president can make use of such meetings as a public relations advantage. Minister Linkevičius points out that already the next morning there was ongoing calibration, with messages being shifted from an immediate emotional impression, something that is now becoming tradition. This ranges from statements from figures such as Senator M. Rubio stating that cooperation with Russia in cyber security would be akin to cooperation with B. Al-Assad in chemical weaponry. Even the White House backtracked, which needs to be kept in mind. This is in the background of even US nuclear power plants' systems being accessed from Russia. In the end Linkevičius points out that while these matters are no game, just that both sides were interested in displaying their ability to hold constructive and cooperative relations. Russia focused on the meeting lasting fourfold longer than originally planned, but the question is what was discussed, how much time was dedicated to matters such as Ukraine. Linkevičius urges to keep watch of ongoing processes instead, for example the US deploying its Patriot air defence missiles in the Baltic region, instead of making rushed conclusions. Both L. Linkevičius and R. Vilpišauskas echo one another in that the meeting was less a G20 meeting and more G19+1, with the United States and its leader appearing isolated. While the head of TSPMI notes that the choice to have Ivanka Trump sit in for her father at certain points in the discussions, he notes that a holistic look is important and that the US is doing much in the region. Regarding the EU, Vilpišauskas states that the bloc had a strong appearance despite the rioting in Hamburg, with the conclusion of free trade agreement negotiations with Japan and a similar agreement coming into power with Canada. He notes that the British Prime Minister T. May appeared the weakest, with talks of new trade agreements smelling of desperation, particularly in the context of the American president first visiting Poland rather the US's partner in the "special relationship". At this point the expert is unsure where things will go, whether the US will honour its relationship with the UK in hurrying trade agreement talks or instead returning to stalled negotiations with the EU. Regarding Donald Trump's visit to Poland, L. Linkevičius notes that it is beneficial to Lithuania if its neighbour Poland becomes a security hub in Europe, with statements being made that Poland and its neighbours will not be left to fend for themselves. Furthermore commitments to NATO article 5 were reiterated, but the reminder was made for what Europe has to do. Overall L. Linkevičius concludes that the visit was very successful for Lithuania and the things that mattered were said. R. Vilpišauskas points out that the president's rhetoric denied criticisms that he does not support European integration, however the crux of the matter is that D. Trump understands European integration quite differently as compared to the German chancellor or French president, speaking of a Europe of nations and bureaucracy as a third threat alongside Islamic extremism and unpredictable Russian actions. The question here stands what his republican distrust of government institutions means for Lithuanian EU policy and the future of the EU. L. Linkevičius also adds that European discourses and the views of European leaders will not change after what has been said in regard to rule of law and various other questions. Regarding cyber security Linkevičius adds that Trump's comments may lead to a return to reality, perhaps allowing the US Congress to take a firmer stance in terms of sanctions on Russia. Nevertheless he notes that in the end, seeking dialogue is laudable, just that one must be wary of traps. "I believe that the American defensive system works and that is how it will be. There will be various comments, but let us not rush to conclusions. We are valued as constructive partners, not just in terms of defence spending, but overall, so let us use this strategic partnership and it will be the right way," Linkevičius concluded. Girnius. Is Russia that dangerous?